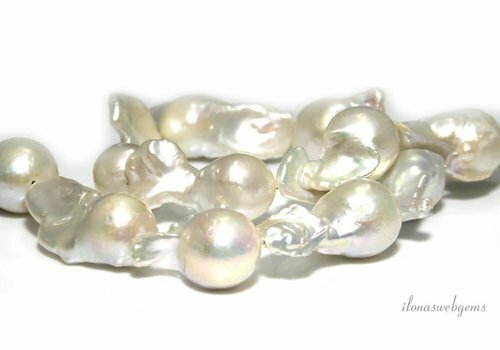 Which pearls are called baroque pearls? 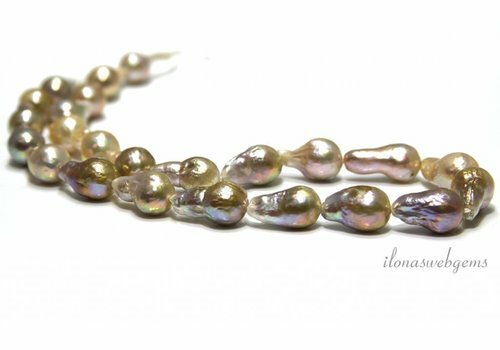 Simply all the pearls of irregular form baroque pearls. You wonder, perhaps, and those beads that resemble rice grains then? Who do not have nice regular shape. So there are more irregular beads with different names. Usually these names have their origins in the region in which they are found or grown. Usually they follow the contours of the 'pollution' that end up in the clams and oysters or are deliberately introduced. This 'contamination' is the core of pearls. 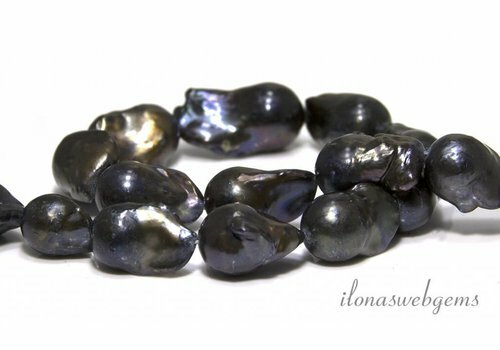 The mussels and oysters also manufacture the most beautiful baroque pearls. Sometimes more than one nuclei into a mussel or oyster. 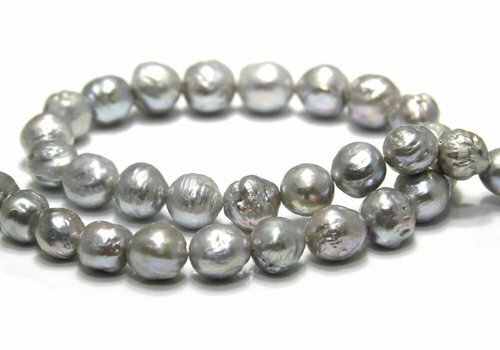 For these cores can separate pearls occur but they can also grow together. 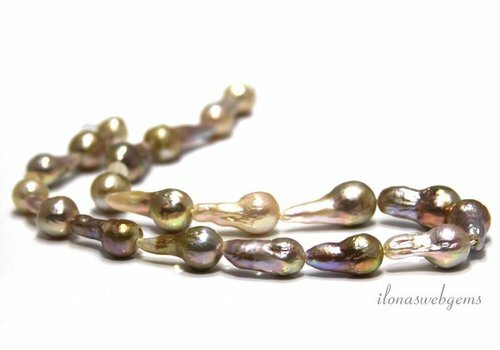 The adhesions, with irregular shapes, known as baroque pearls. 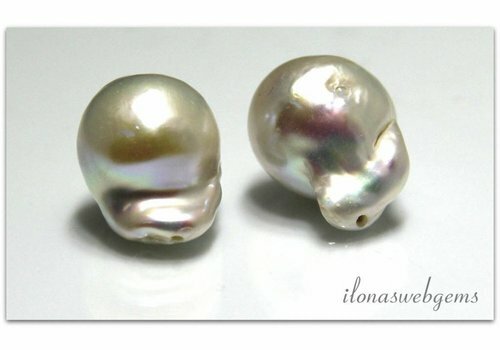 If you Baroque pearls would look you will see that they have more than one core. Besides the form baroque pearls as unique and special as any other pearl. The color can vary from white and cream to brown or yellowish, pink, etcetera. 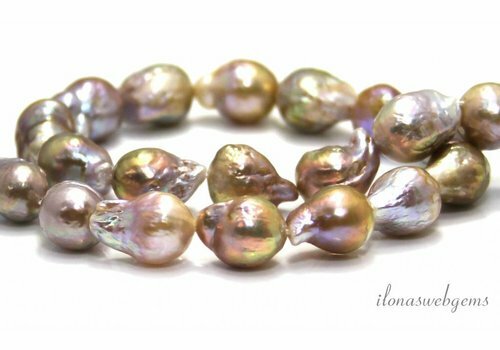 Baroque or baroque pearls are now manually colored in beautiful and bright colors. 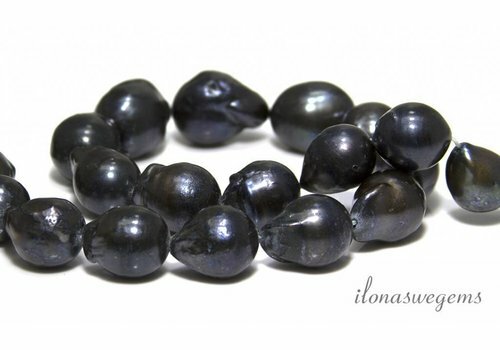 Black pearls are also found in nature and can be very costly. 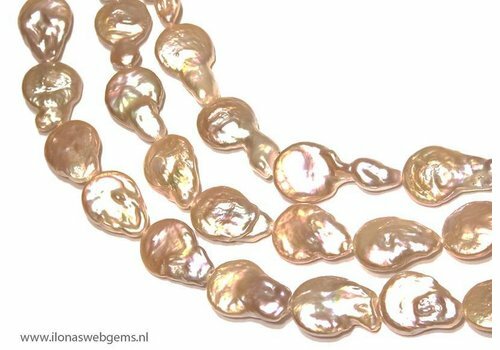 Pink pearl is, the light-colored pearls, usually only the most expensive. 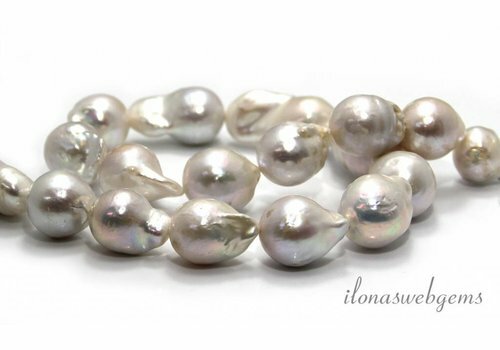 Typically, the luster of pearls, of course, that of the baroque pearls. Thin layers of nacre cause. Light, reflected from the surface, gives, in combination with the broken and reflected light from the layers below it, the gloss with the silvery color. 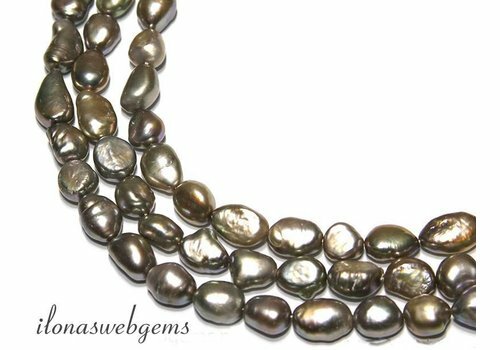 Pearls are not resistant to heat. The heat evaporates moisture from the organic components which it loses its luster. 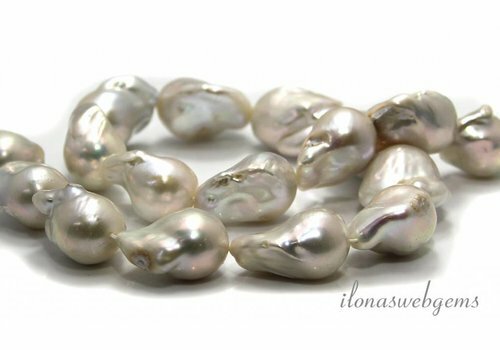 Pearls without conchine thick layer may even dissolve in acids such as wine or vinegar. 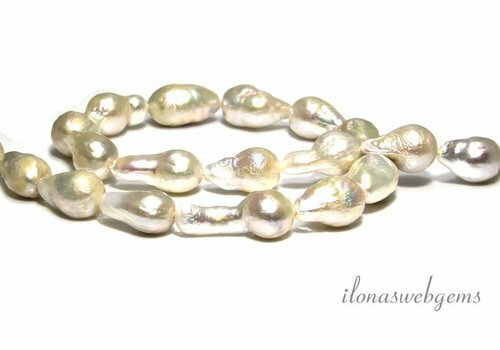 Pearls with a thick layer conchine not solve. Conchine is in fact resistant to acids. All this also goes for baroque pearls. Do you make your own jewelry? And tomorrow you yourself would like stringing your pearl necklace? Do not forget pearl beading thread to order or pearl silk. If you're like me a little impatient Buy your pearls online for five hours. 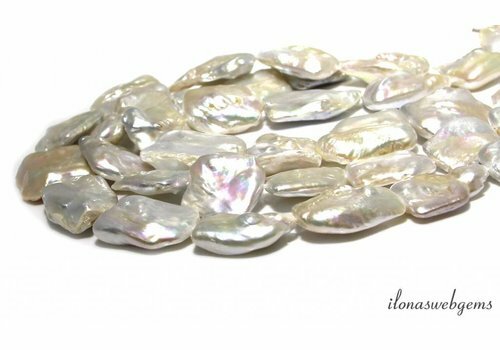 We pack your package with baroque pearls equal in and leave the same day our pearl wholesaler. 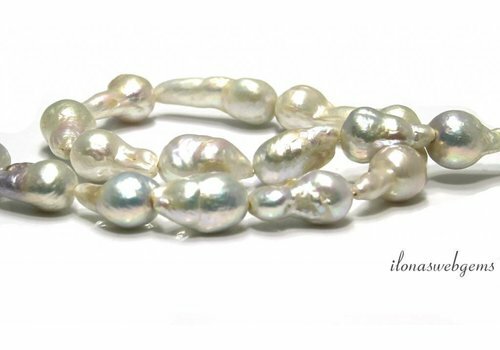 If it's good you have this lovely baroque pearls tomorrow at home.